Competition in Scotland was for many years based in regular Sports Meetings run by football clubs or works establishments such as the Rangers Sports, Celtic Sports, Falkirk Sports, Babcock & Wilcox Sports in Renfrew and Dirrans Sports at Kilwinning. There were also meetings such as the Edinburgh Highland Games which were sports under a different name, but one which they probably hoped would bring in the tourists and holiday makers! 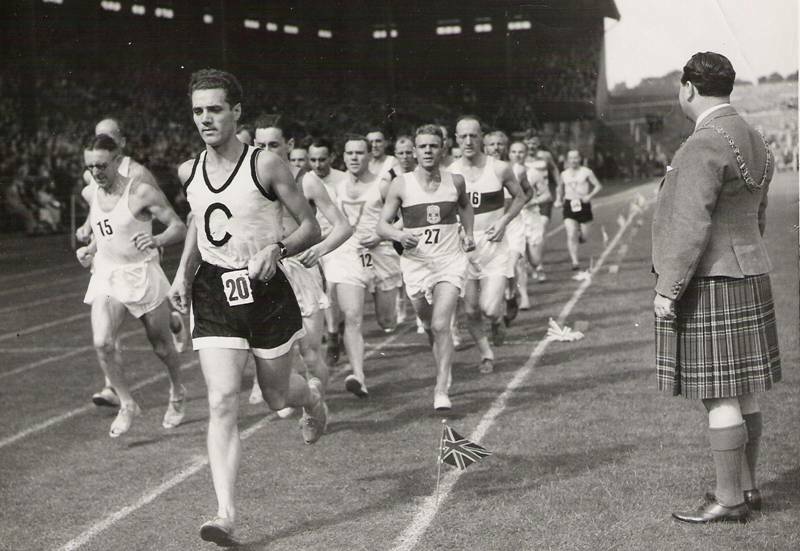 The picture above is of the start of the Edinburgh HG marathon in 1951. The better financed and attended usually had a number of international and invitation events as well as local races which were all handicap affairs. It doesn’t do to sneer at the handicaps, they provided hard competition and well fought out races – and in the 1920’s and 30’s there were marks beyond the finishing line so that runners could get times for the full distance.